This pet spawns around Felsoul Hold. It shares spawn points with Vicious Broodling, and has a higher chance of spawning. Lashes the enemy 1-2 times, dealing 197 Beast damage per lash. Found mine on the bottom of the pit below the canons at 32,76. Took about an hour of killing like named critters to get him to spawn. As with other pets in this zone this seems to be the required method to get them to spawn. Went in at midnight Pacific (3am Server) and found 4 Thornclaws, 3 B/B, 1 H/B. One on upper level and other 3 in bottom of pit. 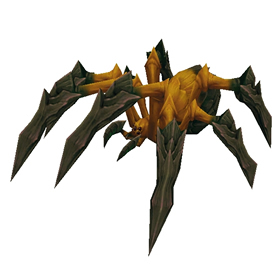 Seems like this is another of the pets that are not too hard to find (if you hit the place at right time) but share spawn points with the hard-to-find ones, so you gotta kill the Thornclaws to get the rarer Vicious Broodlings to spawn. So far no luck finding a Vicious. Like Prettyheals said, there are not many out in the area. I found 1 in 30-45 mins of looking. Found mine at about the same coords, just tamed it for now. 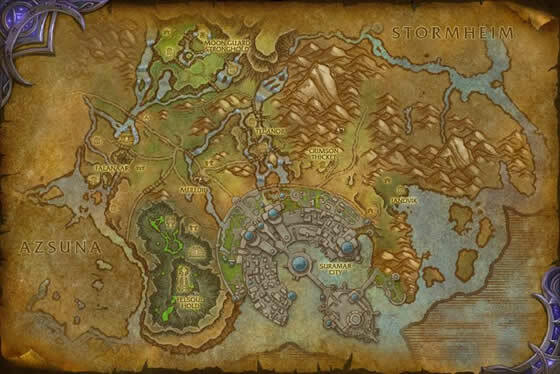 These spawn near and around Felsoul Hold in Suramar. I found mine in a cave called Felmaw Cavern at (34.39 73.87). If you find one, capture it regardless of quality or breed. I only found 2 in 2 hours of searching.